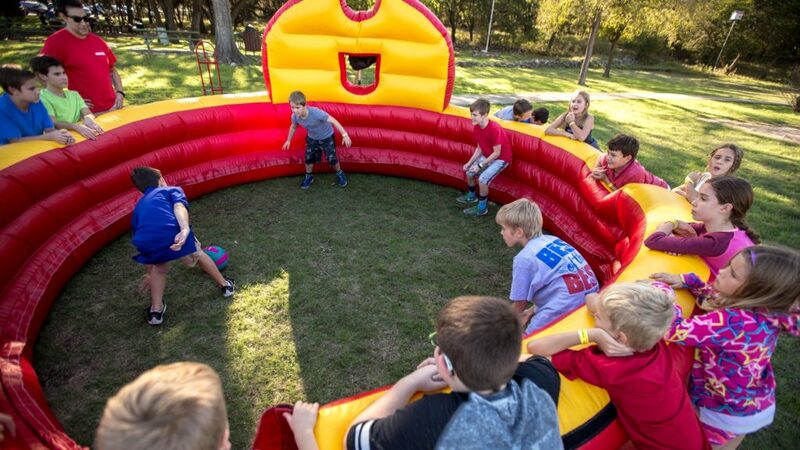 GaGa is similar to dodge ball, but is played in an enclosed space known as a GaGa Pit. Up to twenty players can play at a time. GaGa Ball is great for ages five and up, and can be used indoors or outdoors. The goal of the game, like dodge ball, is to hit the other players, and be the last person standing. Players use only their hands to hit the ball, but unlike dodge ball they cannot catch and throw it. Instead you hit the ball using an open hand or a fist to eliminate the other players. The ball must hit the opponent below the knee. The game is fast‐ moving, safe, and great exercise You wont be able to get them out of the pit!